A Hartford elder law attorney actually provides invaluable help not just for seniors, but for young people as well. 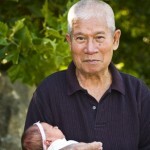 It is a common misconception that services offered by an elder law attorney are for the elderly only. The reality is, elder law gets its name because the issues in this field are most commonly concerns of seniors- but anyone could end up facing those issues. Elder law attorneys help with asset protection, incapacity planning, and legacy planning. Even if you are young, these are issues that should matter to you because something unexpected could happen at any time. Nirenstein, Horowitz & Associates provides comprehensive assistance with all aspects of estate planning and elder law to people of all ages. We can help young people to make sure they take the necessary steps to achieve a secure future and to protect the people in their life who matter to them. Give us a call today to find out more about what a Hartford elder law attorney can do to help you. 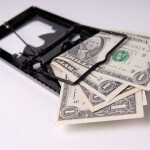 Why Do Young People Need Help from a Hartford Elder Law Attorney? Many young people think the services provided by elder law attorneys don’t matter to them. After all, no one likes to think they could ever get sick or become disabled or incapacitated or need nursing home care or die before their time. Unfortunately, the sad reality is that these things do happen. The Council for Disability Awareness warns that more than one out of every four people who is 20 years old today will experience a disabling illness or injury before reaching retirement age. 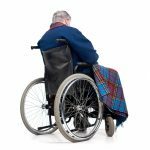 Some of these disabilities are incapacitating, and some result in the need for nursing home services. Young people who have not planned ahead in case something happens to them will find that they, and their families are in a bad situation and unable to cope effectively with tragedy. 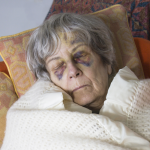 A young person who becomes incapacitated without a plan could face serious financial hardship if forced to pay for nursing home costs; could experience a loss of assets; and could be left receiving unwanted medical care. His family could face complicated court proceedings, high legal costs, and painful medical choices without input about what their incapacitated loved one would have wanted. Families could also be left in a personal and financial mess if someone passes away without a plan in place. You don’t want your own future or your family to be at risk of having an even harder time than necessary in the event that problems arise. A Hartford elder law attorney helps make sure that doesn’t happen. A Hartford elder law attorney can also provide assistance preparing for the future you are dreaming of, by helping you create a plan to save for your children’s college education and for your own retirement. What Does a Hartford Elder Law Attorney Do For Young People? IRAs and 529 accounts for retirement and college saving. From naming a guardian for your children to making sure your kids have money for their education to making your preferences known about who takes charge of assets if you cannot act on your own, the steps that an elder law attorney helps you to take will ensure that you are prepared for any possible situation. How can a Hartford Elder Law Attorney Help You? A Hartford elder law attorney at Nirenstein, Horowitz & Associates can offer you assistance with understanding the risks you and your family face. We can help you to make plans to protect your kids and your loved ones in case the unexpected happens. We also assist in asset protection and in addressing end-of-life issues, as well as estate planning. Our attorneys also do much more than just helping you to prepare for tragedy, as we can also offer advice on achieving retirement goals and creating a financially secure future. 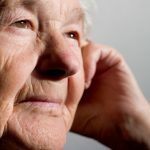 To learn more about how an attorney can help you and about why elder law issues matter to young people download our free estate planning worksheet . You can also give us a call at 860-548-1000 or contact us online to speak with a member of our legal team for advice designed for your personal situation. Call now to learn more.